To purchase DNA Skin Institute products, call 559-760-2415 or email ginny@dreamfaces.net. Orders are filled within 1-2 days. Free shipping on orders over $150. Shipping is USPS Priority Mail. 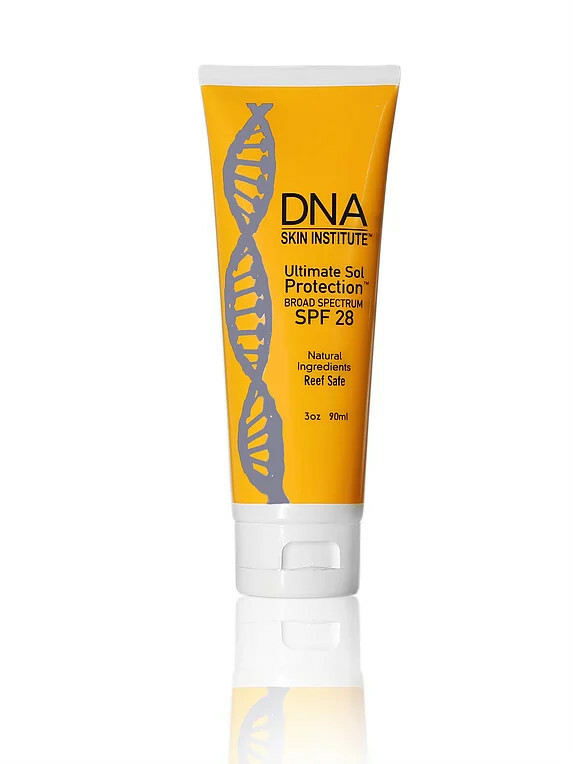 Ultimate Sol Protection™ SPF 28 is 100% natural, chemical and preservative free. At DNA Health Institute™ and Dream Faces, we believe in a whole body wellness approach to beauty. We commit ourselves to providing a completely chemical and preservative-free line without harmful parabens, ureas, and dimethicones found in other skin care lines. All of our ingredients have a beneficial effect not only on the skin but the entire body. This sunscreen is ideal as a daily moisturizer. Apply liberally to all sun exposed areas areas half an hour before expected time of sun exposure. Reapply every 30-45 minutes if out in the sun for long period of times for most effective results. Hamamelis Virginiana (Witch Hazel) Water, Glycerin, Lactic Acid, Hydroxypropyl Methylcellulose, Fructooligosaccharides, Glucosamin HCL. To purchase DNA Skin Institute products, call 559-760-2415 or email ginny@dreamfaces.net. © 2019 Virginia Burke - all rights reserved.